By Kelly Czarnecki October 29, 2008 February 14, 2009 YALSA Info. “Can I have more time on the computer?” “Just ten more minutes please? 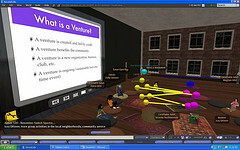 !” This question is frequently asked at my library in regards to using the virtual world of Teen Second Life. Teens themselves are the ones that marketed this technology to each other in the library. It started off with one teen using the program to teach peers around the world how to speak Spanish. The point I want to make about telling this is not about TSL in particular. But, I want to makea point about introducing technology and supporting the access of it so that the teens who probably would not have picked up on it otherwise, because the places they come in contact with might not have it available, know that it exists. What other technologies have we as libraries been able to support in ways that other places haven’t? What skills are teens learning by allowing teens to use various technologies? How can we as organizations support the power of viral marketing, from our patrons, to grow a program? It’s great to watch interest unfold and discover the lessons of introducing skills and programs that originally might have seemed impossible to start. 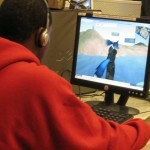 In this podcast Linda Braun talks with Barry Joseph and Amira Fouad (of Global Kids and RezEd) about topics related to teens, gaming, education, and virtual worlds. On Tuesday, August 5, at approximately 11am EST, Marc Aronson is going to participate in a live stream to talk about his book Race: A History Beyond Black and White and about how and why he is bringing it into a virtual world. Participants can watch, hear, and interact, via text chat, with Marc and Kevin Jarrett, faculty in the Graduate School of Education at Walden University. You do not need an account to watch and listen but you will need to sign up for a free one if you want your teens to be able to participate in the chat. The session will also be recorded so that it can be accessed at a later date. By Kelly Czarnecki July 12, 2008 February 14, 2009 YALSA Info. 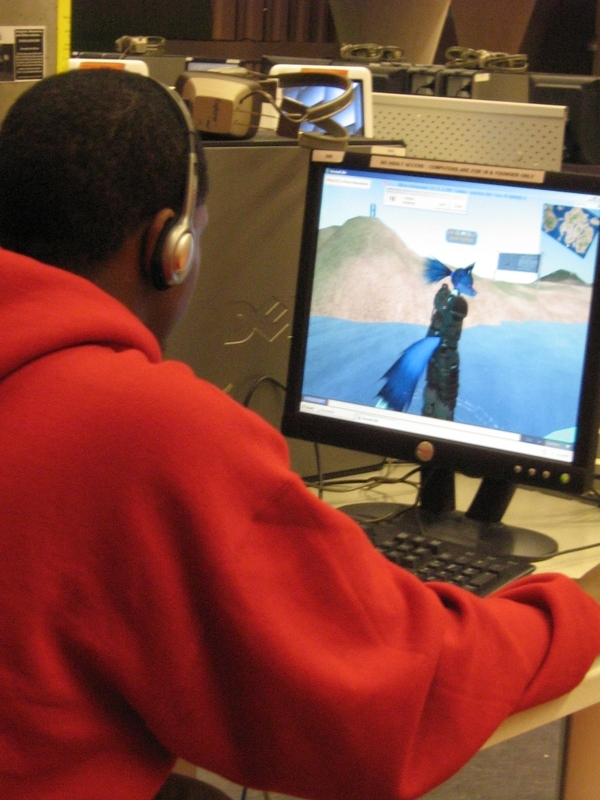 Today, teens had the opportunity to enter their avatar designs for Jack Gantos and Meg Cabot for a contest in Teen Second Life so that they can wear them when they come to TSL to interact with the teens. The enthusiasm and creativity were wonderful. We talked about what Jack and Meg write and some of the teens shared that they identified with some of the characters. Many librarians are probably familiar with designing programs that build developmental assets. We help build youth assets like leadership, helping others, and succeeding in school so that there is less of a chance that teens will make destructive choices such as vandalism and drugs. Kelly Czarnecki talks with teen, Storm Basiat, in regards to Congressman’s Mark Kirk’s proposal to the Federal Trade Commission to warn parents of the “dangers Second Life presents.” Also discussed is how Kirk feels that access to Second Life should be banned in schools and libraries. By Kelly Czarnecki March 18, 2008 July 30, 2009 YALSA Info. When I read in the New York Times about the survey that “Finds Teenagers Ignorant of Basic History and Literature Questions,” I couldn’t help but think what their knowledge would be like if they learned about those subjects while in an immersive environment. In January 2008, the Land of Lincoln island on Teen Second Life came into existence as a result of a vision from the Alliance Library System. Even though the title is about Lincoln, the focus is a bit broader, covering the 1850’s and 1860’s. Right now it is a wild west theme. Teens are designing structures such as a gold mine and bank, objects including horses and soon clothes from the time period. It’s not simply the fact that being in an immersive environment might make information stick, it’s because of the way knowledge can be shared and collaborations take place. Teens that build might rely on another teen to do the research, add the computer programming language to make the horse move, design a sign for the stable. All of those things engage the teens because they are working on this together-sharing their previously formed knowledge and learning new information as a result of working together.